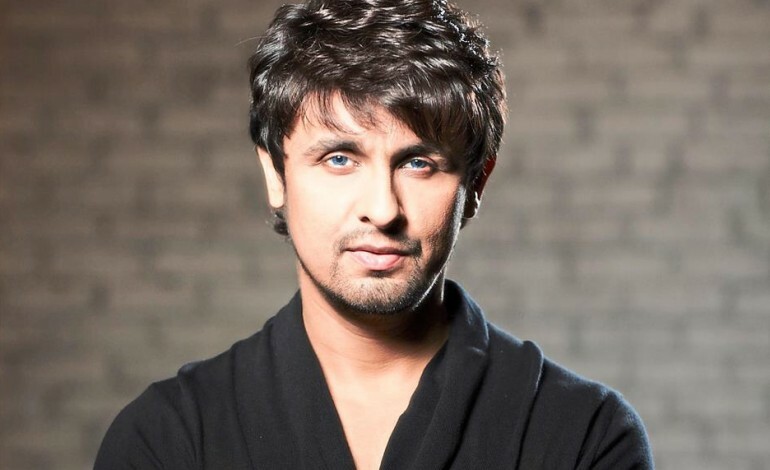 Bollywood singer Sonu Nigam has made a name for himself in the industry, however according to his recent statement, looks like he is unhappy with the current music scene. According to India Today, in a recent interview to Aaj Tak, the 45-year-old took a jab at the popularity of Pakistani singers in India. “Sometimes, I feel as if it would have been better if I were from Pakistan. At least I would get offers from India,” he said. However, he took to Facebook to clarify what he meant by the earlier comment. 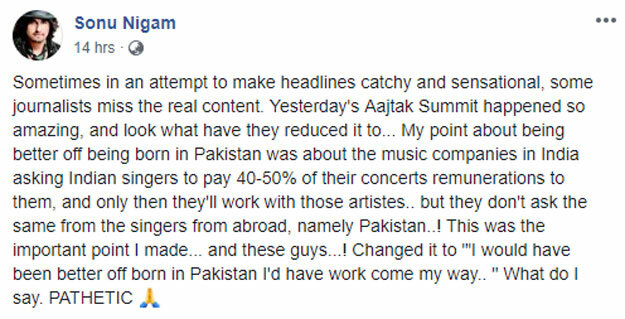 “My point about being better off being born in Pakistan was about the music companies in India asking Indian singers to pay 40-50% of their concerts remunerations to them, and only then they’ll work with those artists but they don’t ask the same from the singers from abroad, namely Pakistan,” Sonu posted on Facebook. During the summit, the singer was talking about why so many songs are being remixed these days. “Sometimes, I feel like it would be better if I was from Pakistan. At least I would get offers from India,” he joked. “Nowadays, singers have to pay music companies for shows. If we don’t shell out the money, they will play songs sung by other singers and highlight them. Then, they will take money from them,” he said. “They don’t do the same with Pakistani singers. But then why single only Indian singers out? Atif Aslam is a very close friend of mine. He is never asked to pay to sing at shows, neither is Rahat Fateh Ali Khan,” added Nigam. Sonu blamed this practice for the current trend of remix songs. “Earlier, the composers, lyricists and singers created a song. Now, the music companies have taken over that job,” he said.